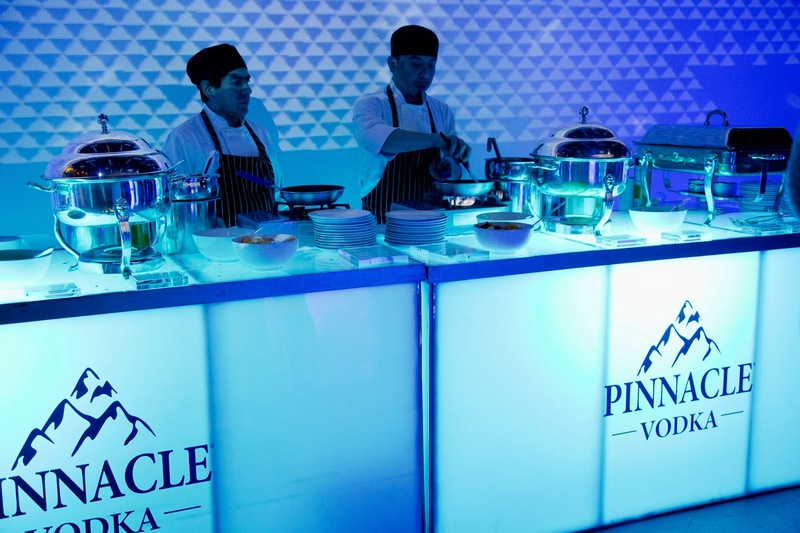 This past weekend Pinnacle Vodka had a 24-hour brunch party at the Lightbox in NYC. 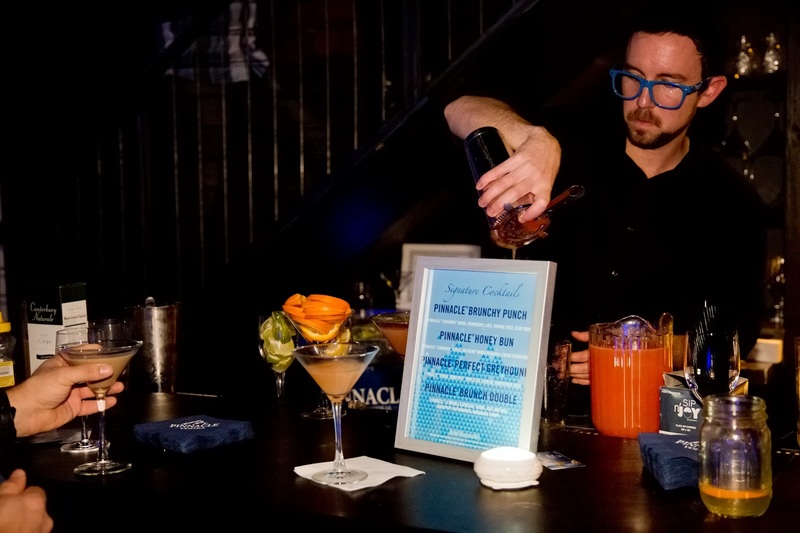 No I didn't party for 24 hours straight, however the Pinnacle Vodka organizers had five hour intervals throughout the day and into the following day for a specific groups of people. I was in the Media/Press bash which as the first group of people to attend the brunch to celebrate the new flavor, Pinnacle Cinnamon Roll. 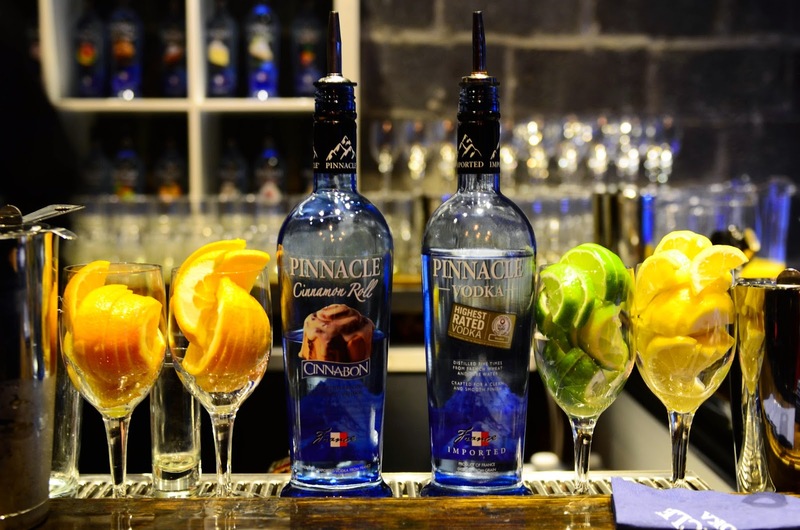 Pinnacle Vodka is known to have a variety of flavored vodkas, so the collaboration with Cinnabon is a match made in cocktail heaven. This was the brunch buffet that consisted on freshly made omelet, french toast, home fries and fruit cups. Pour all ingredients except for club soda into a punch bowl with ice. Top off with club soda and fresh fruit when ready to serve. Makes 12-15 servings. 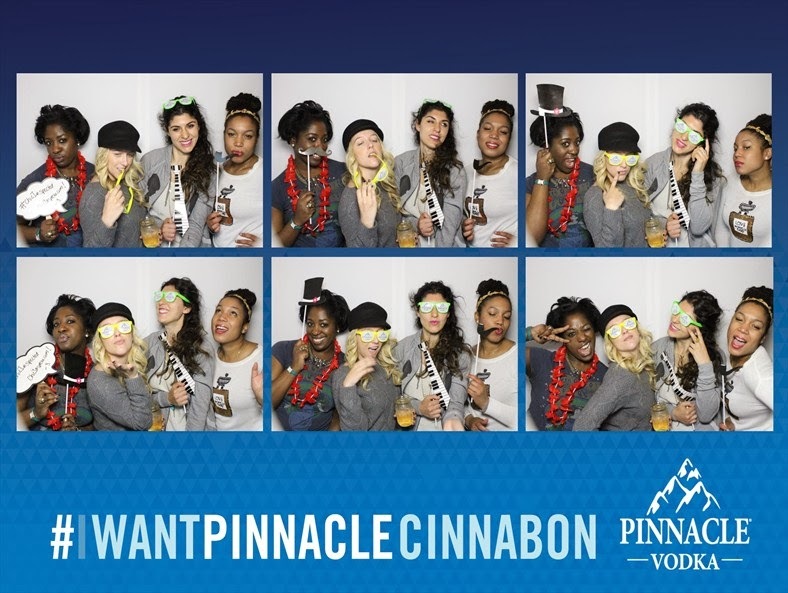 Me and a few of my blogger friends posing in the photobooth.